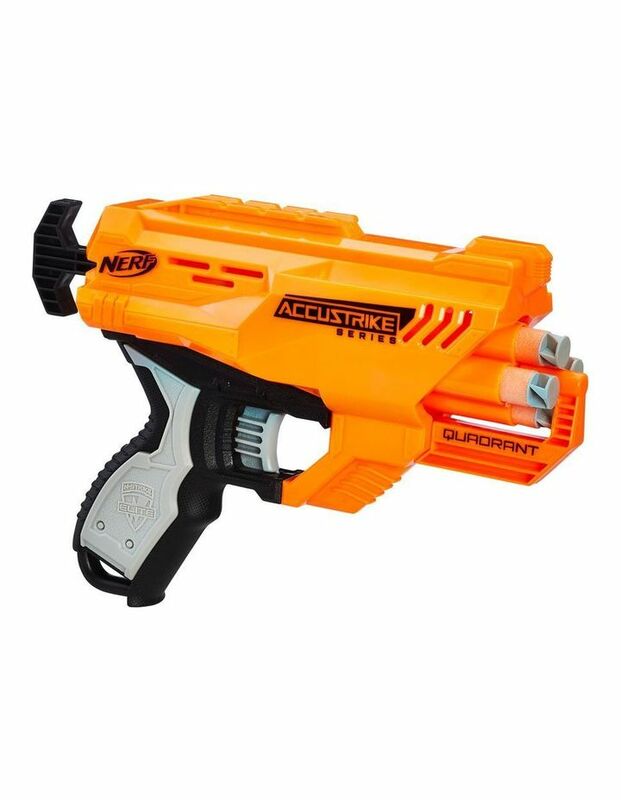 Take on targets with this compact, 4-dart blaster! 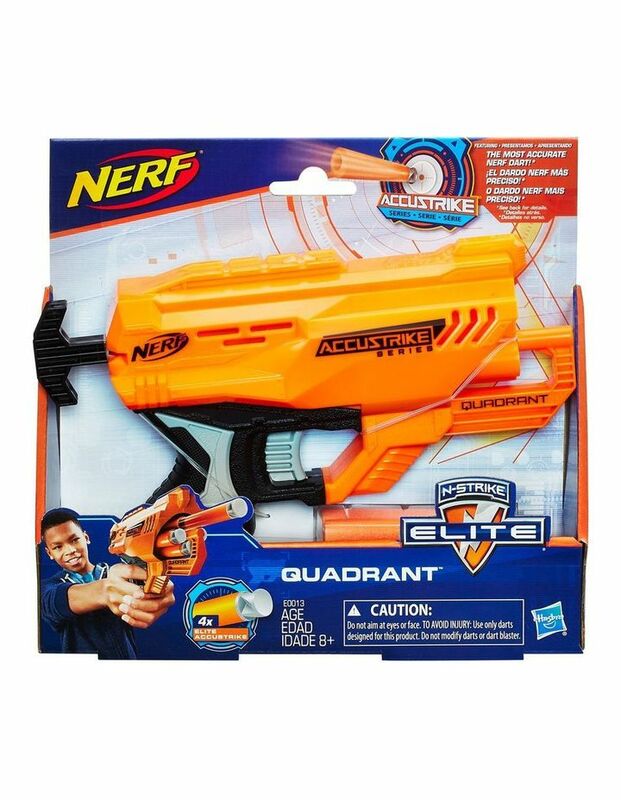 The Nerf N-Strike Elite Quadrant blaster has a rotating drum that holds 4 Elite darts. Prime this single-fire blaster and pull the trigger to unleash a dart at opponents. Its size makes it a great blaster to take along on stealth missions, recon operations, and surprise attacks. Includes 4 Elite darts.